What will the piping engineer learn from this section? 1. What is the purpose of hygienic piping? 2. How to apply general piping engineering principles for the hygiene sector? 3. Comparison of steel pipe vs glass/plastic. Hygienic piping finds application in Food, Pharma and Beverage industry. Due to the increase in automation, on-line CIP has come into existence in these sectors. In hygiene systems, about 4/3rd time is spent on process engineering and 2/3rd time is devoted for the cleaning and disinfection process. All surfaces in contact with the product (say food) must be inert to the product under the conditions, of use and must not be caught, migrate to or be absorbed by the product. All surfaces in contact with food must be smooth and non-porous so that tiny particles of product, bacteria, or insect eggs are not caught in microscopic surface crevices and become difficult to distodge, thus becoming a potential source of contamination. Mechanical considerations of the cleaning-in-place process are seldom of significance. Adhesive forces must be considerably reduced during cleaning; this is most often accomplished chemically. Surface active detergents have to be able to overcome capillary forces. The composition of the ions in solution also influences the Vander Waals forces and the electrostatic forces. Food, Pharma and Beverage Industry: Due to the increase in automation, online CIP has come into existence. In hygiene systems, about 1/3rd time is spent on process engineering and 2/3rd time is devoted for cleaning and disinfection process. The main aim of hygiene piping engineering is to produce a safe product. Standard followed: DIN 11850/ ISO 2037. The piping layout helps to determine the functional safety of the product transport. It is important that all parts in the network receive an equally intense treatment with the cleaning detergents, and that the pipe network can run completely empty. a) It is difficult to clean dead water zones where the vessels connect to the main pipe. The use of double sealed vaIves or short T-pieces can avoid these dead water zones. b) Leftover product in bent sections of pipe: A bend in the pipe can be avoided by stationing the supports sufficiently close to one another. c) Product leftover in front of symmetrical reducations: Left - over product can be avoided by using asymmetrical reductions. • The product is to be protected from microbial or other contamination. • Cleaning effectiveness is to be maximised and cleaning costs reduced. • AII surfaces in contact with the product (say food) must be inert to the product under the conditions of use and must not migrate to or be absorbed by the product. • All surfaces in contact with food must be smooth and non-porous so that tiny particles of product, bacteria, or insect eggs are not caught in microscopic surface crevices and become difficult to dislodge, becoming a potential source of contamination. • All surfaces in contact with the product must be visible for inspection or it must be demonstrated that routine cleaning procedures eliminate the possibility of contamination from bacteria/insects. • All surfaces in contact with the product must be readily accessible for manual cleaning or if not readily accessible, be readily disassembled for manual cleaning, or if CIP techniques are used, it must be demonstrated that the results achieved without being disassembled for manual cleaning, or if CIP techniques are used, it must be demonstrated that the results achieved without disassembly are the equivalent of those obtained with disassembly and manual cleaning. • All interior surfaces in contact with the product must be so arranged that the equipment/piping is self employing or self draining. • The piping must be so designed as to protect the contents from external contamination. • The exterior or non-product contact surfaces should be arranged to prevent harbouring of soils, bacteria or pests in and on the equipment itself as well as in its contact with other equipment, floors, walls or hanging supports. • In design, construction, installation and maintenance, it is important to avoid dead space or other conditions which trap food, prevent effective cleaning and may allow microbial growth to take place. There is no Substitute for Common Sense, and no Specification can be Complete Enough to Insure a Sanitary (Hygienic) Design. Pipe unions present a weak point in any system. The DIN 11851 standard is used for pipe fittings. In hygiene piping design, welded bonds provide an optimum safety when they are the result of inert gas welding. Should a solid joint not be desired on whatever technical grounds, screw or clamp joints now come into consideration. The standard design for a stainless screwed pipe connection (DIN 11851) requires a profile jacket. In this type of construction, there is always a crack between the socket and the thread. This disadvantage can be avoided by using a special profile gasket. An alternative is a clamp union. so-called tri-clamp. This consists of two identical clamp ferrules and a profile gasket, and is designed to avoid cracks, having been pre-stressed at a designed tension. The clamp joint can also be opened and closed without using a tool. Mainly butterfly or plug valves are used for hygiene application. Mechanical considerations of the cleaning - in-place process are seldom of significance. Adhesive forces must be considerably reduced during cleaning, this is most often accomplished chemically. Surface active detergents have to be able to overcome capillary forces. The composition of the ions in the solution also influences the Vander Waals force and the electrostatic forces. Good sanitary (hygienic) design of equipment used in the manufacture of foods and beverages requires that all surfaces in contact with the product must be non-toxic, inert to the product under conditions of use, must not have constituents which migrate or are absorbed by the product and, in addition must be resistant to (i.e. be inert to) cleaning and disinfecting agents under norma1 or expected conditions of use. • Avoid chemical, physical or microbial contamination of the product. This means, for example, that there are no places where the product lodges, builds up and then falls back into the product stream. It also means that the component parts of the equipment are either accessible for cleaning and maintenance or are completely sealed. • Give maximum protection to the product from external contamination. This requires good sanitary design and installation because apart from conveying material it is part of the ‘overheads’ which collect dust and dirt. Badly installed or maintained pipe work can be expected to leak and may be a source of direct contamination or, if the material is suitable, e.g. liquid sugar, be a pest, control problem. Also, pipes going to and from the flow plate should be stopped otherwise it will contribute to the wastage of the product. The type of support used is important to minimise dirt accumulation and making cleaning quicker. Piping should be installed at least 150 mm (6") from walls and floor to provide for thorough cleaning around it. 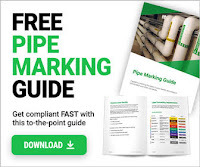 When a pipeline is being installed which has couplings that use gaskets, be sure that the correct gasket is used and that the pipe work and coupling are both correctly aligned and tightened. Pumps are so made that the impellers, gears or pistons can be easily removed for cleaning, thus making them adaptable for handling hygiene products. The pump may be fitted with a friction seal, instead of packing, and the body and rotors of the pumps are made of white metal, bronze or stainless steel. The pump housing is fitted with sanitary pipe connections. 1. All metal pump parts having any surface in contact with the product shall be constructed of metal consisting of stainless steel, nickel alloy, or equally corrosion resistant material that is non-toxic and nonabsorbent. a) All product-contact surfaces shall be finished to an equivalent of not less than, 120 grit finish property applied. b) All outside surfaces shall be smooth and easily cleanable. 2. Exteriors of structural parts not in contact with the product shall be of corrosion resistant material with E: smooth finish or shall be rendered corrosion resistant or painted and shall be so constructed as to be easily cleanable. 1. Openings: Inlets and outlets shall confirm with the 3A sanitary standards for fittings. 2. Shaft seal: Seal shall be of the sanitary type easily removable for inspection and cleaning, and shall be constructed of material not injurious to food products. 3. Gaskets: Single-service gaskets of the sanitary type or removable rubber type gaskets that can be easily cleaned shall be used. Glass sanitary pipe made at a special tough pyrex glass is available in the market and a good many successful installations are in use in United States basically for the dairy industry. The glass pipe is of interest for two principal reasons: first as a substitute for stainless steel and, second because it can be used in many locations without dismantling for cleaning, thereby saving considerable labour in clean-up time. The transparent nature of the glass makes it possible to examine the pipe visually after cleaning by circulatory methods, and detect deposits if there are any. Standard stock sizes are 1,11/2.2.3.4,6 inches inside diameter. Lengths are 10 feet; longer or shorter are special. Normal operating temp: 0 -212 degF. Plastic sanitary tubing is now available in a variety of sizes from 1/8 to 4 inches inside diameter and in different weights. A popular brand Tygon B44 - 4X, for example is designed to convey processed milk and milk products. It is claimed to be non-toxic, fully transparent, and flexible at temp. below, 0 degF. It will withstand temperature of sterilisation; it is resistant to milk and food acids and strong sanitising agents. The following are standard sizes: 1", 1 ½”, 2",2½”, 3" and 4". The sanitary stainless steel pipe was first used commercially with welded fittings around 1948. 1. All product contact surfaces shall be finished to an equivalent of not less than 120 grit finish properly applied. 2. All outside surfaces must be smooth. Fittings shall conform to the specifications of dimension. shown on the 3A standard drawing established for each fitting. Single service gaskets of the sanitary type or removable rubber type gaskets that can be easily cleaned shall be used with gasket type fittings. The solderless recessless type fittings are sometimes used. The pipe passes entirely through the fitting and the joint between the pipe and the fitting is actually on the end of both the fitting and the pipe, out of direct contact with any product which passes through the pipe The fitting is attached by slipping the fitting over the end of the pipe to the proper position and then expanding the pipe into the fitting by means of an expander of the same general type as that used in expanding boiler tubes in a boiler. Many food equipment cleaning processes are now being conducted by recirculation techniques, utilising a combination of chemical and physical effects to remove the soil from the product - contacting surfaces. This procedure is referred to as a CIP (Cleaned-in - place) operation, and process system, valves, and process equipment susceptible to this technique are said to be of CIP design. In - place cleaning is based on taking the detergent to the equipment rather than taking the equipment to the detergent as has been the case with manually cleaned “take-down” lines. The effectiveness of the procedure is largely determined by the factors of time, temperature, detergency and physical action involved. There are considerable benefits to be enjoyed through use of these products - with particular emphasis on reduction of clean - up labour cost, improved sanitation of the complete system through the ability to use higher temperatures and stronger detergents, and the elimination of recontamination when assembling dismantled equipment. In- place cleaning may be applied to piping systems and associated process equipment by recirculating detergent, and sanitising solutions through circuits comprising this equipment from a suitable recirculating unit consisting of a pump and supply tank. Recirculation cleaning of transport tankers, bulk - milk pick - up tankers, storage tanks, and processing vats in another reqarding area, with the cleaning of this equipment is accomplished by spraying the detergent onto the soiled surface. The design of piping systems for in-place cleaning involves considerably different engineering principles than applied for design of “take-down” systems whish are to be manually dismantled, cleaned, and reassembled daily where spray cleaning of plant tanks and processing vats is involved, attention must be given to the development of suitable CIP supply - return line systems in addition to product piping. Finally, mechanical cleaning lends itself to the application of automatic control, and considerable refinement of conventional piping system design is necessary to provide efficient ‘automated systems’. 1. The determination of process line requirements. 2. The development of CIP circuits. 3. The design of a suitable supply - return system to clean these circuits and handle also all mechanical spray - cleaning operations. 5. The making of the actual installation. 6. The selection and installation of recirculating equipment. 7. The application of instrumentation and controls to assist in continuous maintenance of the desired, cleaning programme and the desired results. 1. Location and utilisation of every pipe for both cleaning and processing functions. 2. Permanent installation of the greatest possible amount of pipe. 4. Provisions to enable all processing to be completed without piping changes yet permit quick conversion to the cleaning circuit. This type of planning demands considerable thought but pays off in reduced product loss improved sanitation, and savings in manhours of clean – up and processing labour. If it is necessary to conduct product handling operations and cleaning operations simultaneously, engineering design should make it possible to do so without any physical connection between product - containing systems and detergent containing systems. 1. They may be remotely actuated by manual or automatic means. 2. They may be mechanically cleaned in conjunction with CIP piping systems. • The ideal plant layout integrates the departmental areas in a logical way to provide for a smooth flow of materials and services. • Plant layout basically depends upon the amount of land space available, shape of the site particularly with respect to road and rail access. • It must be noted that a good layout does not require lavish or luxurious buildings. • It does mean spending so as to maximise the probability of good management producing safe, wholesome food economically. • Good production section layout is crucially important in order to minimise the risk of cross contamination, which has a high risk for public health and product spoilage. • It is important to separate microbiologically ‘high’ and ‘low’ risk materials and processes, personnel working with ‘high’ and ‘low’ risk materials and processes. • It is also important to prevent cross traffic between ‘high’ and ‘low’ risk materials and processes. 23. What Hygienic Design must Deliver? • It should be noted that hygienic design is an intrinsic property of equipment, and later modifications to correct deficiencies are rarely simple, cheap or wholly successful. • Good hygienic design must deliver efficient performance of the intended task, e.g. mixing, heating, etc. • No additional contamination of the product, chemically, physically or microbiologically. • Maximum protection of the product from external contamination and minimum contamination by the product of other equipment and plant structures. • Cost effectiveness as installed – for production, cleaning and maintenance over the whole of its intended life when compared with alternative equipment. The exterior of the machine is not something that can be tackled in isolation. It is an integral part of the complete design. The exterior of a machine, or plant , is those parts of the equipment for which the operator, or cleaning staff, would normally be responsible. This includes not only the outer surfaces of the machine, but also the product areas, for which the operator has responsibility. If a basic process is, in itself, one which creates dirt, dust and unhygienic conditions, attempt to replace that process with a cleaner one. 26. Where to Get Help? There may be Research Associations or similar centres of expertise familiar both with processes and range of equipment available. It takes a design engineer about two years to develop sanitary design skills. The engineering criteria are not particularly complex , and they can be mastered fairly quickly. Nonetheless, more time is needed to acquire a better understanding of the different manufacturing processes and their particular design needs. The most common design faults which cause poor cleanability are: poor accessibility, inadequately rounded corners, sharp angles and dead ends. It must be recognised that there are degrees of sanitary design generally related to the permitted tolerance of microbial infection in the final product. Readily accessible: Easily exposed to sight and touch for regular cleaning and inspecting without the use of tools. Material of construction: Be prepared to answer these two questions: What can go wrong?, When it does go wrong, what is the planned action to protect consumers? 27. How to Avoid Contamination? One of the common features of poor sanitary design is the existence of inherent ‘dead spots’ or ‘dead ends’. They are better described as ‘filth traps’. It needs to be remembered that micro-organisms are very small, and that what is visually small to a human are to microbes the ‘ wide open spaces’ where they can multiply. Furthermore, if the cleaning does not remove material because design features shield it, then this becomes a ‘designed in’ source of contamination. It is therefore axiomatic that sharp corners, crevices and dead ends anywhere in the product are unsanitary. 28. How to Simplify Cleaning? Both design and installation are important to achieve this aim. Good sanitary design plus good installation , maintenance and cleaning makes possible maximum efficiency and cost effectiveness. • As part of the achievement of overall control (chemical, physical, microbiological) of a specific ingredient or food product handled by a particular item or line of equipment. • To maintain the performance of equipment, e.g. a filler, within design limits. • Because it is part of good plant management which has an important effect on employee morale. • These apparently simple and obvious reasons lead to the development of cleaning systems which require careful technological study and may become complex. Under certain circumstances, it may be best not to attempt to make an environment aesthetically clean, because more harm than good can be done. For example, dust which may accumulate on an overhead pipe in a food handling area might best be left untouched except at special cleaning intervals. If the dust removal can not be done effectively in the normal time available for cleaning, the food handling equipment below may become contaminated. The results of microbiological analysis of apparently unclean materials such as dust or condensing moisture should be interpreted in terms of the hazard the accumulations pose to the microbiological status of the product, thereby dictating the frequency and necessity for cleaning. • It is important to be clear about the meaning of terms in order that issues may be addressed clearly and rationally. • It is emphasised that Plant Management has the responsibility and accountability for ensuring that fully adequate and effective cleaning systems are developed, used and monitored. • It is often cost-effective for companies to rely on contract cleaning services,in the same manner as they employ contract pest control services. As with the latter, it is the food company’s responsibility to describe carefully what is expected of the contractor, to determine when and how frequently cleaning should be carried out, and to monitor the effectiveness of the cleaning operations that are perfomed. Written contracts are absolutely essential to ensure that these points are thoroughly understood by both parties. Naturally, the contractor cannot do the job thoroughly if they are not provided with essential information and adequate access to the areas to be cleaned. operations are sometimes called cleansing, a term which is used in some milk and dairy legislation. Note that cleaning system components have both cleaning and sanitising functions. • Bactericide: A chemical agent which under defined conditions of use is capable of killing bacterial cells, but not necessarily bacterial spores. It is important to understand that the use of a bactericide will not effectively remedy poor cleaning. • Bacteriostat: A chemical agent which under defined conditions of use inhibits the increase in numbers of a bacterial population. • Break point chlorination: The point at which the chlorine demand of a water has been reached, after which the free residual chlorine concentration increases in nearly direct proportion to additional amounts of chlorine added. • Buffer: A chemical agent or agents in solution which stabilise the pH. This is a measure of the acidity or alkalinity of the solution. During cleaning the pH of a buffered cleaner is not much changed by dilution or small amounts of soil. E.g. acidic tomato paste. • Chelating power: This enables a cleaning solution to hold unwanted ions, such as calcium and magnesium , in solution or to re-dissolve precipitated salts. This property is important with hard waters , as calcium and magnesium can interfere with cleaning and rinsing. Chelating agent(s) are organic compounds. Responsible management accepts that cleaning is an integral part of production. It is therefore necessary to develop, implement and maintain cleaning schemes that can be shown to be fully adequate and cost-effective. • Definition of the cleaning task or job. • Selection of the optimal cleaning system. • Application of managerial skills and procedures to define, assess and change, as necessary, the chosen cleaning system. This will include written procedures (schedules) and on-going assessment (audit). HACCP stands for Hazard Analysis and Critical Control Point (HACCP). The HACCP system as a way of working is as applicable to cleaning systems as it is to production systems. HACCP is developed for a specific situation in an actual plant. • Its use raises open – ended questions. • It links to related analysis. • It can be extended to other issues, e.g. safety issues, but beware when making the analysis not to lose sight of its primary purpose. Guard panels are made from stainless steel sheet about a metre square. One side (the top) is curved to hook over a supporting tubular rail when the filler is in use. Handles are provided to lift the panel on and off this rail. The base of the panel is held in place by a channel section. The panel is not interlocked with the filler which can therefore be run with the panel removed during cleaning. When cleaning of the filler starts , the panels are removed for separate cleaning. After the line and filler are cleaned, the panels are replaced. The purpose of cleaning is to remove spillage which if left could cause an offensive smell and corrode the metal. Visual cleanliness is sufficient. An analysis is given in table 1 below, which may raise some unexpected points. It is worth noting that a real advantage of the HACCP approach is that it promotes open – ended lateral ( wide – ranging) thinking in a multi-disciplinary team as well as producing a useful analysis. It is also worth noting that the analysis must be in the detail needed to deliver the required results. • Dry cleaning: Dry cleaning methods are used where the products are hygroscopic or where water can react to form hard deposits which are difficult to remove. The principal Public Health risk is that failure to control moisture can permit the growth of pathogens, e.g. Salmonella spp., in the processing environment which then contaminate any food being processed. Environments usually dry cleaned include plants producing flour, chocolate, peanut butter, dry milk products, dry soup and snack mixes, and dry infant formulae. Dry cleaning is essentially the mechanical removal of soils using sweeping, brushing, wiping, and vacuuming. • Wet cleaning: This may be done out of place or in place or, on large equipment, by a mixture of both methods as appropriate. Remove food products and open containers from the area surrounding the equipment to be cleaned. Dismantle the equipment to expose the surfaces to be cleaned. 1. Drain the system of product. 2. Prepare the circuit(s), e.g. by switching controls to ‘clean’, installing key pieces or flowplates, confirming availability of detergents, etc. 4. Circulate hot detergent to remove residual soil. 5. Rinse with potable water of suitable quality. This rinse is the intermediate rinse if chemical sanitising and / or acid scale removal is included in the CIP cleaning. It is the final rinse if there is no further step in the CIP cleaning. 6. Sanitise to reduce microbial numbers to an acceptable level. 7. Final rinse with potable water of suitable quality. In complex cleaning systems which are often large, a mixture of COP and CIP methods outlined above are usually used. When cleaning is completed , what assessment must be made to show that it is satisfactory? Chemically: - when cleaning and sanitising materials have been removed by rinsing. Physically: when all ‘soil’, scale or residue has been removed. • Maintenance is done to ensure that equipment/ piping system continues to work within design tolerances or specifications. It must be carried out in a way which avoids contamination of ingredient materials, products or packaging materials and also permits effective cleaning before production re-starts. • Remember, maintenance operations should always be used as an opportunity to check for machine part wear or other features which mean that product contamination may have occurred. • Preventive maintenance is commonly regarded as a necessary element of high productivity. While its contribution to productivity is undisputed, it is also paramount for product safety. Preventive maintenance avoids costly and painstaking product recalls or product defects. Its value can not be overemphasized. • When a situation develops in which preventive maintenance is the theory but breakdown maintenance is the practice , it must be questioned as to whether the real cost of breakdown is known. • Experience with running aseptic lines, where very high utilization rates are needed for satisfactory running , underlines real costs of equipment failure. Less obvious but no less real are, for example, the costs of a conveyor drive failure which stops a line for around two hours. • Clearly, although it costs money, high quality preventive maintenance means that breakdown or ‘emergency’ maintenance has hazards which may be overlooked. • There is pressure to work fast,which may lead to lack of care. • Under the pressure, unsuitable materials may be used. • Temporary repairs once made tend to be forgotten. • Remove all product before starting work. • Take care to avoid splashing ingredients, product or packaging materials. • Do not empty waste into ingredient or product containers. • Cap or protect open ends on lines while working in an area. • Be sure to clean repaired pipe–lines thoroughly to avoid damage to equipment, e.g. pumps, and product contamination. • Fabricate as much as practicable in the engineers’ workshop and weld, thread or cut in an area screened (isolated) from ingredient or packaging material storage and product handling. • Be sure that utility lines have been carefully emptied before starting work. 1. By definition “Aseptic” means free from or keeping away disease - producing of putrefying microorganisms. 2. The basic concept of producing aseptically packaged shelf stable products calls for the application of heat, chemical sterilant or other treatments that inactivate microbiological activity which cause spoilage. We have learnt in this lesson about the importance of a hygienic piping system and the role of piping engineer in it. It is concluded that with proper hygienic engineering, we can ser ve humanity with safe products in food/ pharmaceuticals and the agro sector. 2. Stumbo, C.R. (1973) , Thermobacteriology in Food Processing, 2nd Edn., NewYork Academic Press. 3. Shapton D.A. & Hindes W.R. (1965), Some aspects Post Processing Infection in Proceedings of the Ist International Congress Of Food Science and Technology 1962 , Vol 4, edited by J.M. Leitch. thanks! much info, was not very familiar with hygienic piping as now! thanks again! Dedward74 for your comment :) I luv to get such feedback. It keeps me motivated. Excellent post!! I had great read. Hygiene pipes are an important component of food industries. I trust the brand http://www.bdeltd.co.uk/ for such pipes, as they ensure all the conditions here.